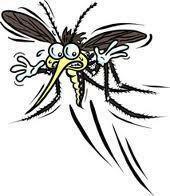 Give biting insects the message to get lost with aromatics they detest therefore avoid. This bug deterrent packs a lot of punch through its dual method of preparation. If you are looking for a diethyltoluamide (DEET) free product try the world of herbs and aromatherapy. 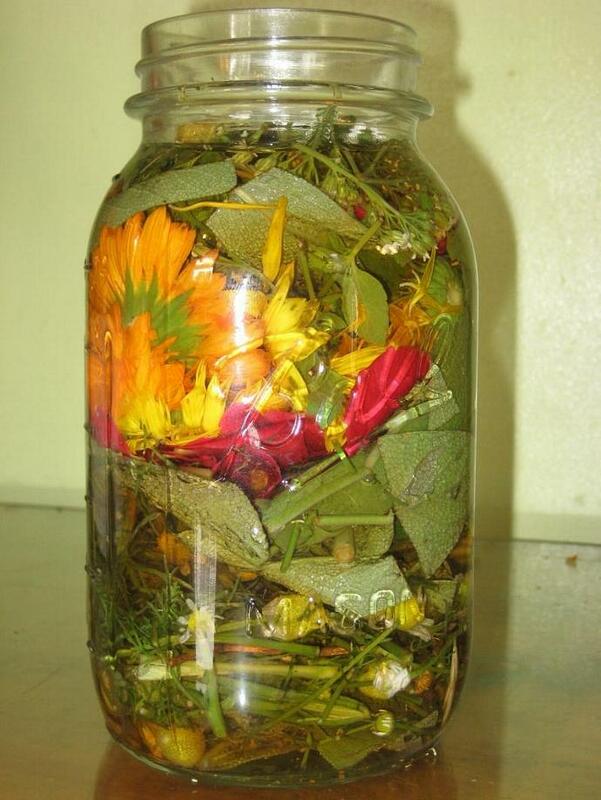 A variety of bitter garden herbs are first infused in an olive oil base for an extended period of time. 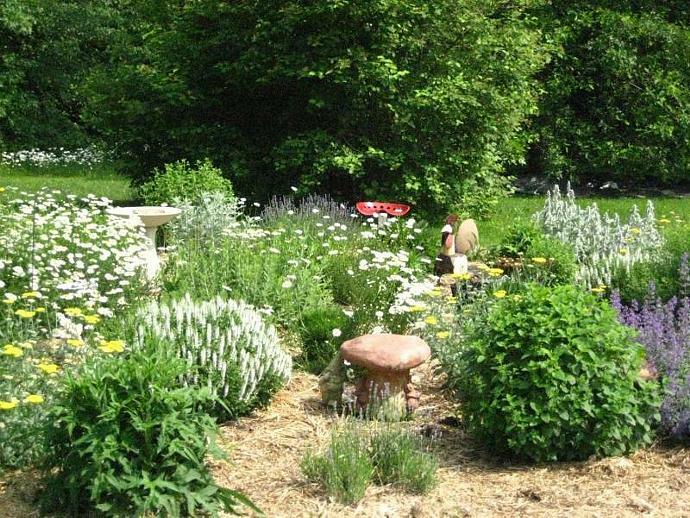 Rue, tansy, sage, feverfew and southernwood are a few of the choices one has for repelling mosquitoes, no see ums, knats, and black flies. 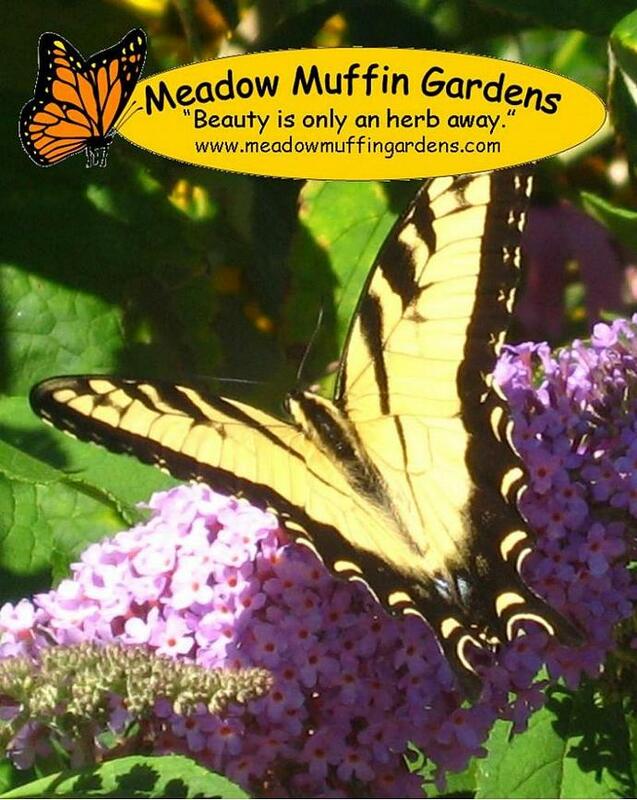 Strong acting essential oils such as citronella, lavender, geranium, peppermint, eucalyptus and lemongrass are excellent examples of strong aromas pesty flying insects do not like. Various combinations of these oils are used for their antiseptic and insect repelling qualities. 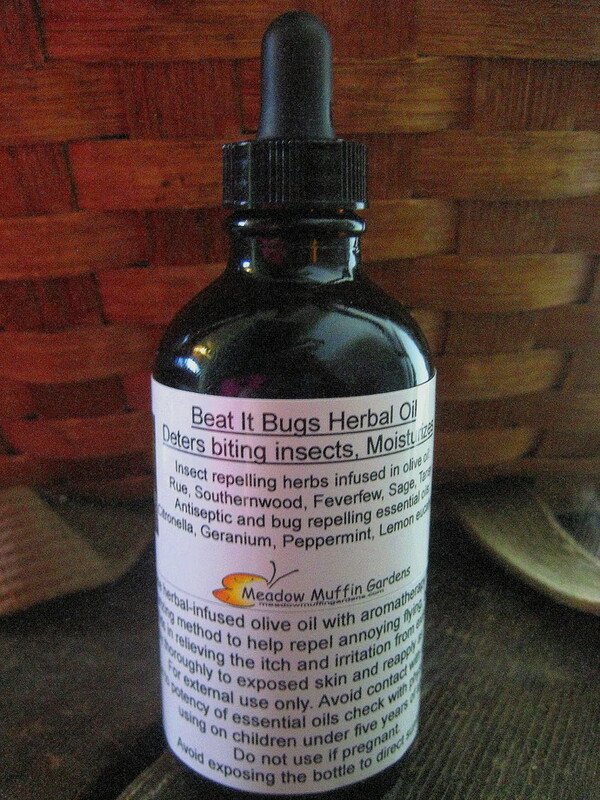 Beat It Bug Oil is also very soothing as an after-bite remedy by reducing itch, swelling and inflammation. In addition to all that, being this repellent is in an olive oil base it is also excellent for softening and moisturizing your skin. So get out there and enjoy the outdoors. Just be prepared to deal with all that goes with camping, hiking, fishing and boating. 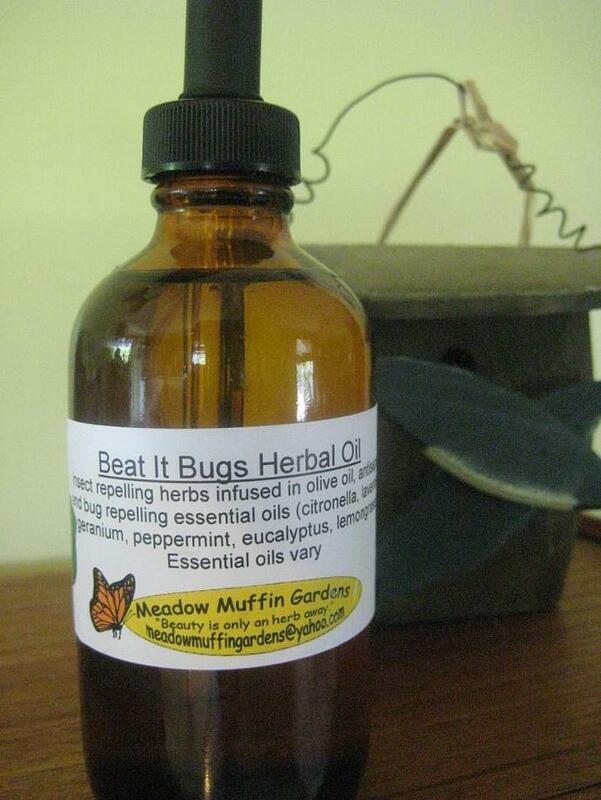 Apply Beat It Bugs Herbal Oil to exposed areas of skin, avoiding the eyes and mouth. For spot treatments it may be easier to apply to a cotton ball first. Use your own discretion as to how often you will have to reapply. ******Avoid use by pregnant or lactating women. Beat It Bugs Herbal Oil comes in a choice of either a 4 oz. amber glass dropper bottle or a 4 oz. white plastic pump type bottle. Keep out of direct sunlight as sun breaks down the essential oils.